The 2004 Alaska State Fair is history, but time and space operate differently on the Internet than anywhere else. 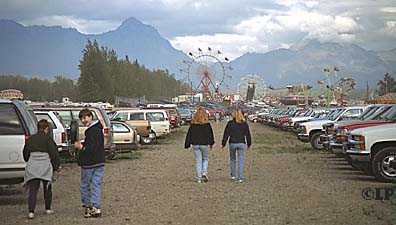 So you still have your choice of visiting it or going to the 1995, 1996, 1997, 1998, 1999, or 2000 Alaska State Fair. 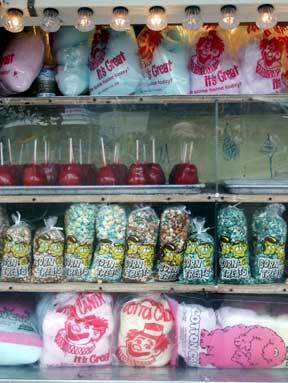 If you'd like, you can go straight to the Midway, which is timeless. at the 1997 State Fair. to 60 miles per hour in no time at all. at the 1998 State Fair. to pull it flew to Alaska for the 2000 fair. are not an Alaska specialty). That's the virtual state fair. If you're after the smells, sounds and excitement of the physical Alaska State Fair as well, you'll find information about the next fair at its official site. Visit other state fairs at Fairs Net.